Dublin is the capital of the Republic of Ireland and home to Guinness beer and pub culture. Smaller liners can come up the river Liffey close to the city centre while the larger vessels berth in Alexandra Quay, located 2 kms/1.5 miles east from the city centre. Large ships tend to use Ocean Pier. A new terminal is currently planned at Cruise 18 Pier closest to East Link Bridge and 3Arena (previously O2). Shuttle buses are usually provided dropping off on Kildare St beside Trinity College. It is a pleasant but long walk (2.5km/30 mins) along the riverside into the city with some interesting sights including The Custom House and Famine Memorial. The Point Luas (light rail/tram) station opened in Dec 2009 on the north side of 3arena providing a more convenient option to get downtown. See Local Transportation section below. Ireland's currency is the Euro (EUR). A small tip (5-10%) is appreciated when dining in restaurants or taking a taxi. National Museum of Ireland - Take a quick peek at the bog bodies (left section, ground floor when you enter) before returning to your ship by shuttle on Kildare St. Free entry. The main shopping streets are Grafton and O'Connell and the surrounding streets. 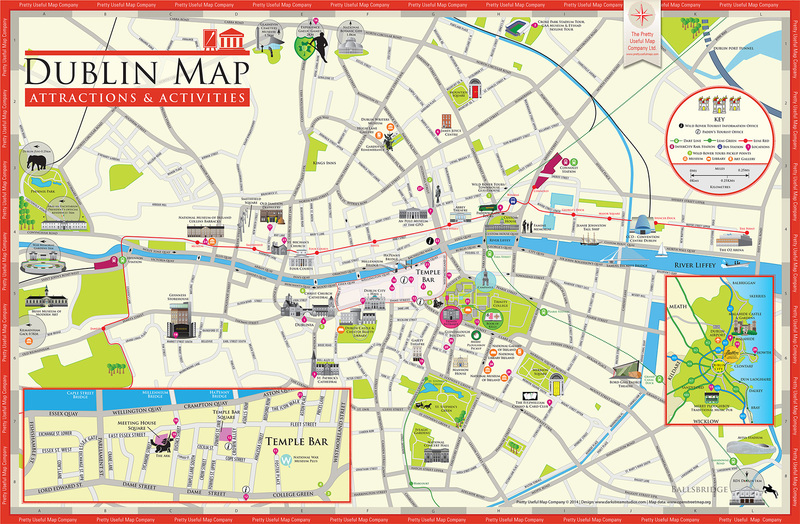 There are pubs and restaurants clustered in the Temple Bar area but you can find an Irish pub on almost any street. There is a Tesco supermarket on Fleet St in Temple Bar. St Stephens Green Shopping Center is at the south end of Grafton St and Parnell Centre is on Parnell St. Be sure to try a fresh pint of Guinness. Grab a chicken filet roll available at most convenience stores and supermarkets with lunch counters. Restaurants and cafes may provide free wifi for customers. There is a post office across from Saint Andrews Church near Grafton Street and another one on O'Connell St by the spire. ©2011-2019 Cruiseportwiki.com All rights reserved.